“Just to let u know, I have now used the dtb for 8 straight gigs! Perfect for what I do. The band loves it as well. No more carrying around 4 amps to get my sound. Put black plate RCA’s for power tubes and the clean sound is absolutely pristine, chime and quiet! Put some telefunken ribbed ax7 for over drive. All a perfect combo. I haven’t gone this long without changing amps for years.” Jon in February of 2017. The best for me was the Colby Mod Machine – Basically has every era and major circuit change thru the years available in one amp and it sounds incredible, plus Mitch’s Park amps are just awesome! Click to read the review of the Colby dtb50 in Guitar Aficionado Magazine. 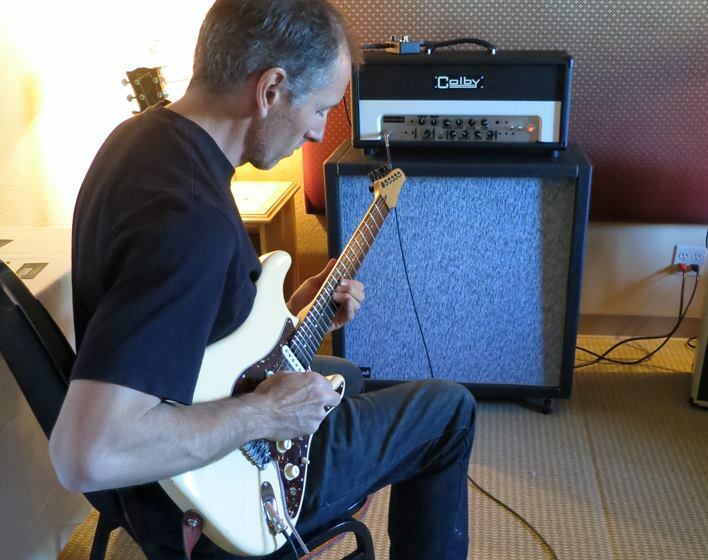 “Ex-Marshall and ex-DV Mark amp mastermind Mitch Colby showed his new Colby amps—a 50-watt and a 100-watt. These are hand-wired and completely made in the USA, and the 50-watter was the best-sounding amp I tried at the show. 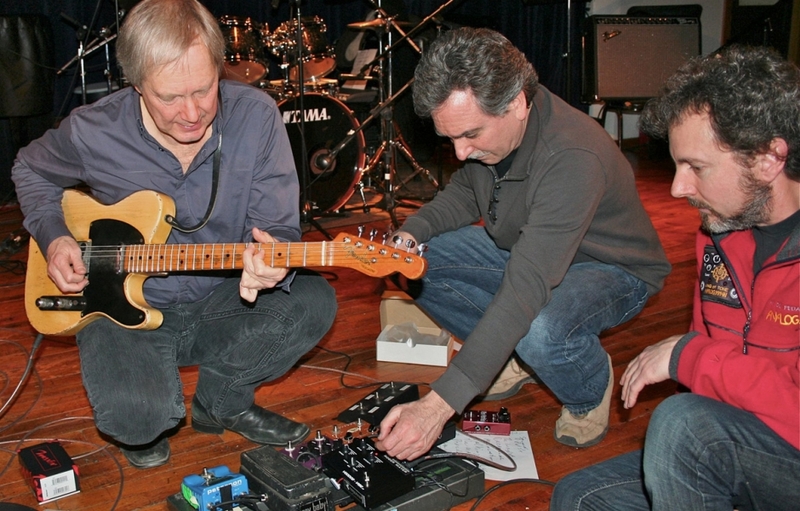 It has a huge, blooming clean channel that goes smoothly into subtle, complex overdrive. The overdrive channel has a beautiful range of tones from big and clean to tough and crunchy to sweet and singing. Every tone was alive with harmonics and cleaned up like nobody’s business. Mitch had the great Jim Weider (who helped voice the amps) in his booth for added star power and mojo. “It is a VERY impressive piece of hardware. Power supply is perfect; not over or under capped. Bloom, harmonics and response are there in wonderful balance. String to string balance is spectacular. 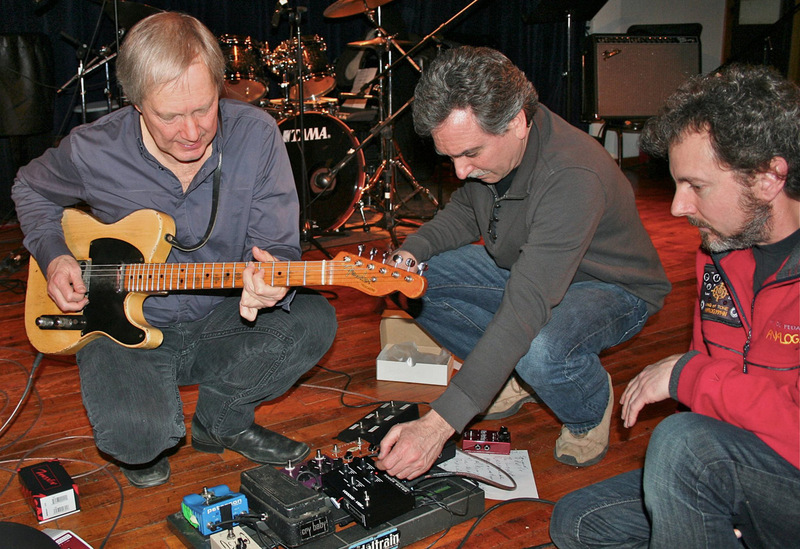 I lost count at six layers of counting harmonics when Carl Verheyen and Steve Trovato did a few things for me as a test. Bottom line, a real winner, not just for the ampshow but one of those iconic amps that will probably go down in history. Constructed so you will pass it down to your grand kids.